If you’ve flown on United Airlines recently, you probably noticed that they have set up new carry-on baggage sizers at their gates and at many of the check-in areas. This co-ordinates with a policy that was implemented system-wide on March 1, 2014. This is good news for those of us who have stayed within the size limits during flights. You’ve undoubtedly seen passengers boarding with a suitcase, large backpack, overstuffed shopping bag, pillow, and more. No wonder there hasn’t been room in the overhead bins for everyone’s luggage. In the past United was lax in enforcing its policies, and when passengers exploited the lack of enforcement, the boarding process was slowed down for everyone. All passengers, including elite status or first-class travelers, may be required to place both carry-on and personal items in the sizers to check for compliance. 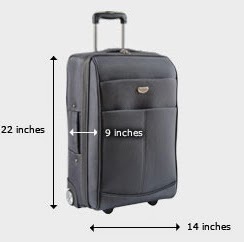 Reports are that United’s sizers are actually slightly larger than the dimensions listed, enabling these items to fit in there comfortably. Need to pack more? Just check your large or extra bags at the counter before security screening. 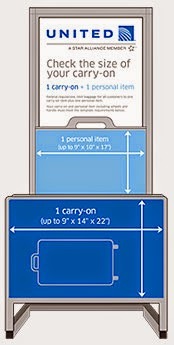 Note that even if you’ve carried on a certain bag before—and it fit in the overhead bin—it may not be allowed if it exceeds the posted size. 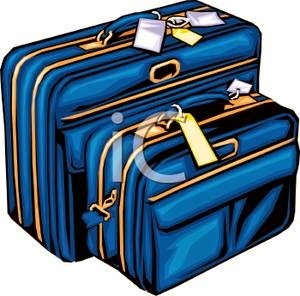 You’ll be required to check bags to your final destination if they are too large or too numerous. Instead of gate-checking at no cost to passengers, you can now expect to pay the baggage fee. If you have a United credit card, your first checked bag is free. 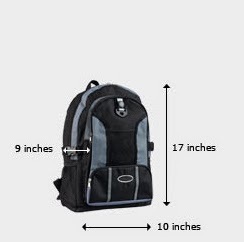 And you can check one bag without charge on overseas flights. Photos from United Airlines and free images.